The climate is ice cold and the region super-rich on natural gas. Russia’s far northern Yamal Peninsula could soon get one of the first LNG-fuelled railways in the world. It is national gas company Gazprom, the owner and operator of the Yamal railway line, which has decided to introduce the new locomotives. Company subsidiaries GazpromTrans and Gazprom Gazomotornoye Toplivo this month signed an agreement which paves the way for the innovative technology, the companies inform. The deal, signed during the recent St. Petersburg Gas Forum, also includes an ambition to build a small-tonnage LNG production complex near Obskaya, a rail junction south of the Yamal Peninsula, as well as a facility for mobile LNG refuelling. The 572 km long railway line is the world’s northernmost. It was opened in 2011 in connection with Gazprom’s development of the grand gas field Bovanenkovo. It today constitutes a key part of the company’s logistics schemes in the area. The line ends in the station of Karskaya, a point located on 70° north. The line includes five stations and 12 double track sections. There are 70 bridges with a total length of 12 km. It is GazpromTrans which operates the line. 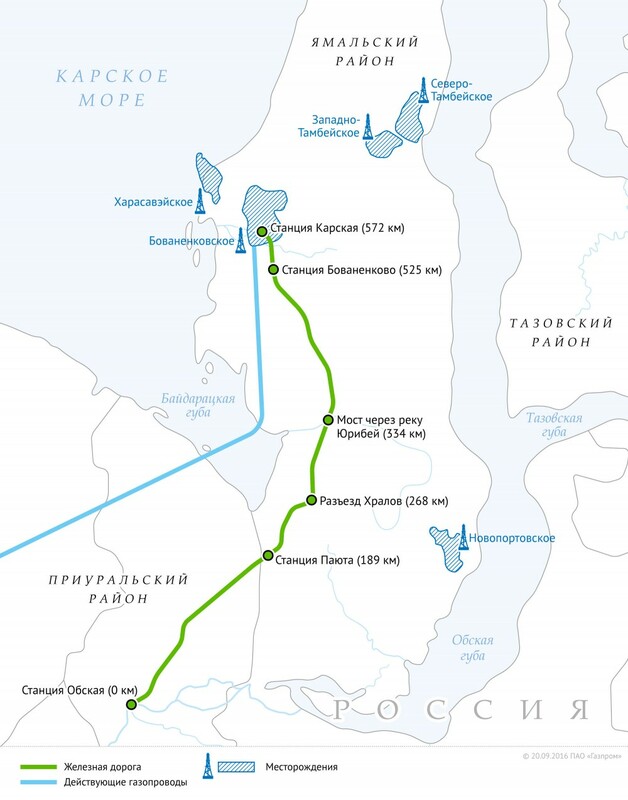 Gazprom has concrete plans to extend the line both to Kharasavey and to the new Arctic sea port of Sabetta, located on the northeastern tip of the peninsula. The introduction of new LNG-fuelled locomotives will make the Yamal line unique in international railway traffic. The technology is under testing several places but has not yet been introduced in commercial traffic. 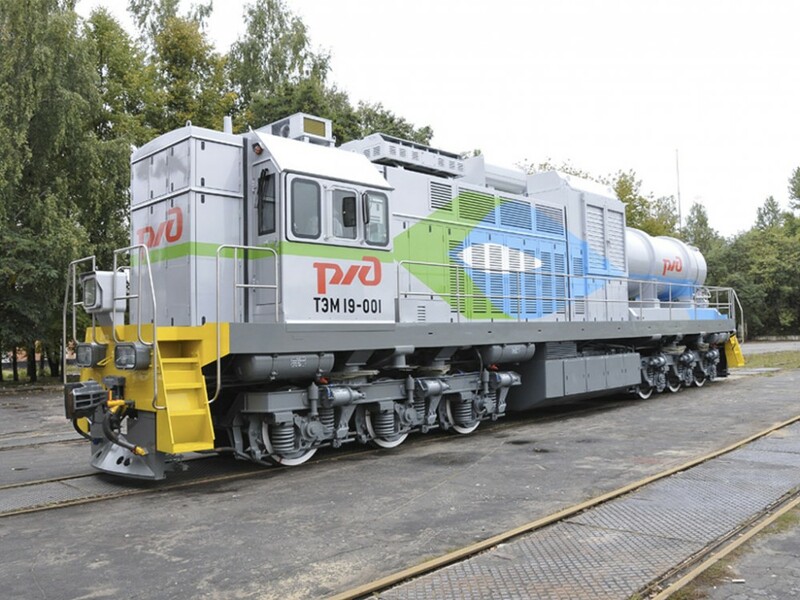 In Russia, the Transmashholding, Russia’s leading builder of rail cars and locomotives, has developed the TEM19, a LNG-fuelled model which currently is under testing. In the future, LNG could play a significant role in global rail freight. The US Energy Information Administration (EIA) projects that liquefied natural gas (LNG) will play an increasing role in powering freight locomotives in coming years. Continued growth in domestic natural gas production and substantially lower natural gas prices compared to crude oil prices could result in significant cost savings for locomotives that use LNG as a fuel source, the Administration wrote in its Annual Energy Outlook 2014.